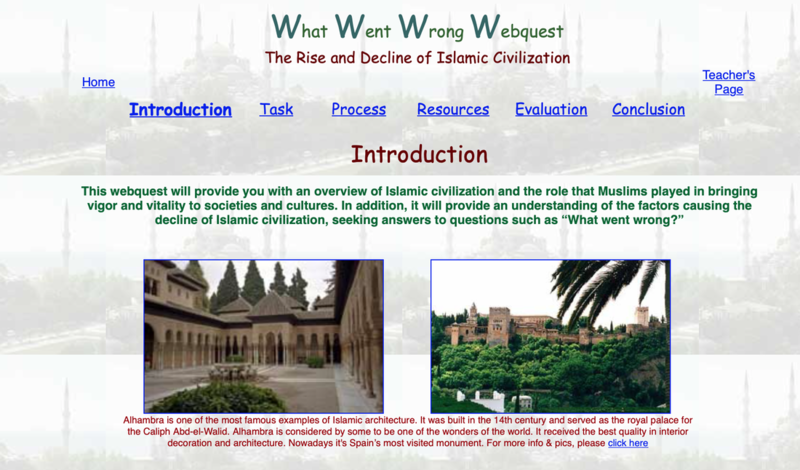 You will be tasked to complete the "What Went Wrong Web-quest - The Rise and Decline of Islamic Civilization. ​ I hope you enjoy the experience! After completing the web-quest you will then need to complete the Post-Survey By Clicking the link again.